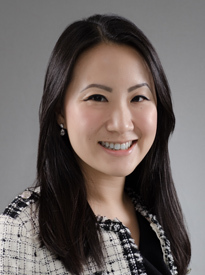 Ying Shuang started off as a trainee with the Insurance / Commercial Litigation Practice Group in the firm and has been working in the same Practice Group since she was called to the bar in or around May 2008. The primary focus of Ying Shuang’s practice is on insurance related matters and she handles both the contentious and non-contentious aspects of the same. For contentious work, Ying Shuang has advised and acted for major insurance companies in Singapore in policy disputes for various classes of insurance, including Contractors’ All Risk, Industrial All Risk and Machinery Breakdown, Property Damage, Business Interruption, Product Liability and Professional Indemnity. She advises insurers on policy coverage issues and acts for them in recovery actions. She also acts for the insureds in defending third party claims. Ying Shuang’s litigation and arbitration experience also extends to commercial disputes. As for non-contentious matters, Ying Shuang has assisted clients (including general, captive, life and marine mutual insurers and reinsurers) in the review and drafting of insurance policies, setting up of insurance business in Singapore, registration and de-registration of their license with the Monetary Authority of Singapore, sale and purchase of insurance business and the portfolio transfer of their business pursuant to section 49 of the Insurance Act. She has also advised insurance companies and intermediaries on insurance compliance and regulatory issues. Advised and represented insurers in the Singapore High Court in a policy coverage dispute arising from an insured’s claim in excess of S$10 million under a Fire Industrial All Risks Insurance policy for alleged property damage and business interruption losses suffered by the insured at its chemical manufacturing plant. Represented insurers and the insured in a joint recovery action in the Singapore High Court for property damage and construction dispute relating to a water ingress incident. Advised insurers on policy coverage issues under Professional Indemnity policies in relation to potential claims against intermediaries due to the sale of financial products linked to Lehman Brothers. Advised insurers on policy coverage issues under Professional Indemnity policy and claim by third party owner against insured architect in respect of the construction of a temple. Advised insurers on potential exposure under an Industrial All Risks Policy for alleged business interruption losses estimated at S$12 million arising from flash fire at oil tanks. Advised and represented insured against a claim filed in the Singapore High Court in a multi-million dollar claim by 13 British nationals for injuries suffered as a result of a motor vehicle accident in Malaysia. Advised and acted for AXA insurance group in its acquisition of the insurance portfolio of the HSBC group. This is a global deal covering, amongst others, Singapore and Hong Kong and the aggregate deal value is USD494 million. Represented a Korean construction company in concurrent ICC and Ad Hoc arbitrations in respect of a commercial dispute. Advised insurers on policy coverage issues under a Contaminated Products Insurance policy in relation to the contamination of the insured’s vitamins and health supplement products.